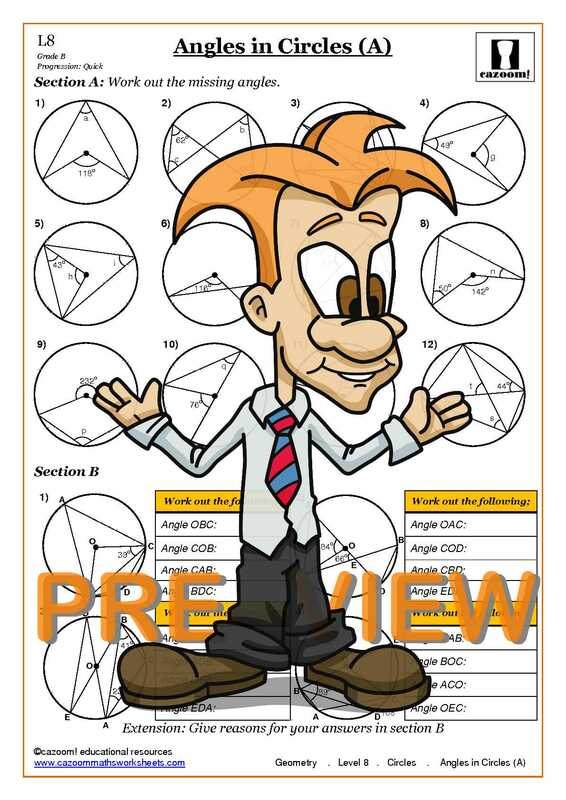 Cazoom Maths have provided a number of worksheets with everything your student or child will need when studying circles. 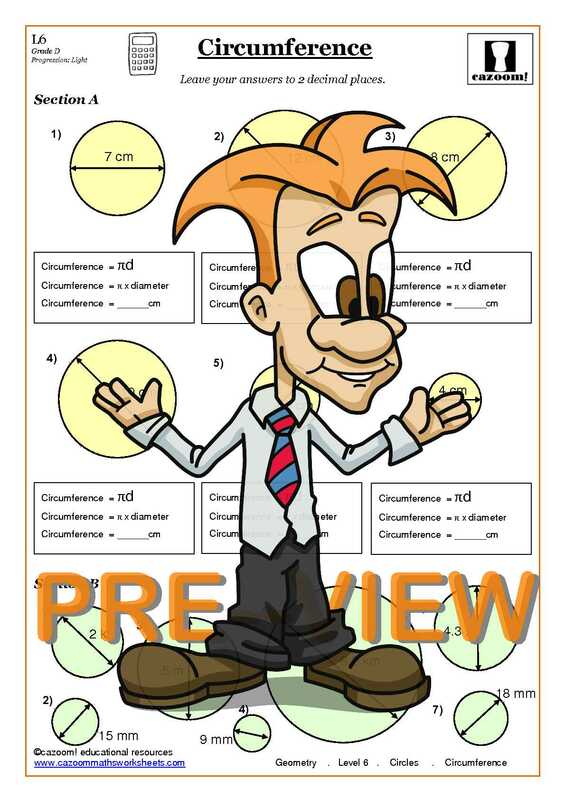 Knowing how to calculate the area and circumference of circles is an important aspect of maths, that is why we have also provided the formulas so each child will soon be an ace at all things circles! Our circle problems worksheets have also been provided with answers. 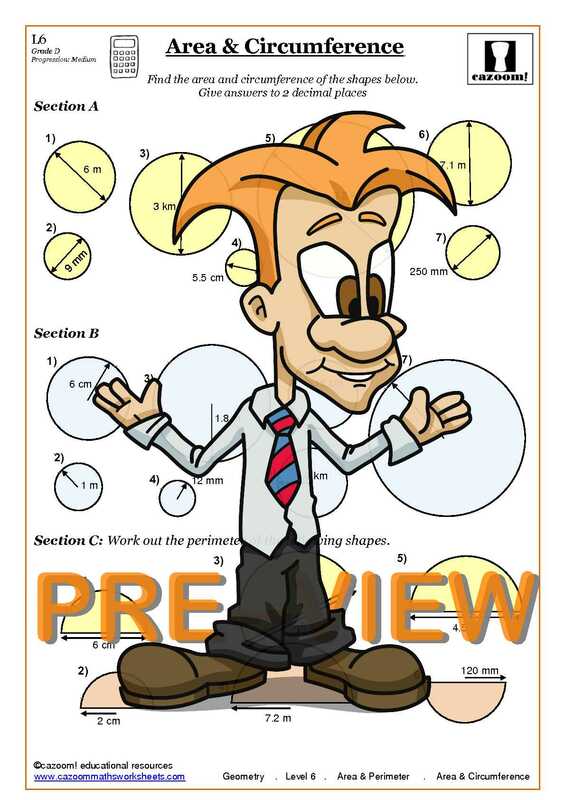 At Cazoom Maths we cater for all abilities, therefore you will find a circles worksheet suitable for everybody. Learning the ins and outs of circles is an important part of maths for your child or student. 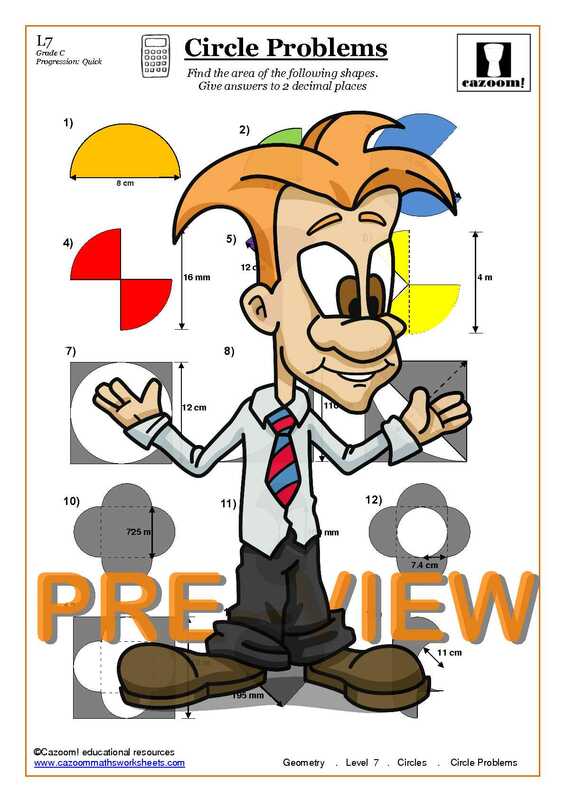 That is why Cazoom Maths have supplied you with all the relevant worksheets and answers. Everything from area and circumference, radius, angles and tangents are provided for all abilities to whizz through.